all the color bursting out in the yard! i didn’t plant any of them! the people before us did. cake and eat it too, wouldn’t you say? >Aren’t you the poet today? Cool rhyming. Couldn’t do it if they paid me…heehee. Spring is already here in my town and I have ZERO plants in my house or outside for that matter, just grass. Lucky you for having flowers to look at…when they do come out, shoot them at eye level for a different perspective.TFS! >Oh I forgot to say that your other post where your little one was leaving the house was wayyy too funny! I loved it! >Great capture of the tulips coming up and verse is cute too. >Once again…just love your journaling, you’ve got a knack at that. this is such a perfect picture of Spring, take a shot when they are in full bloom too to compare. May make a fun storyboard too. Like your music on the blog, oh…that pic from yesterday? AWESOME! 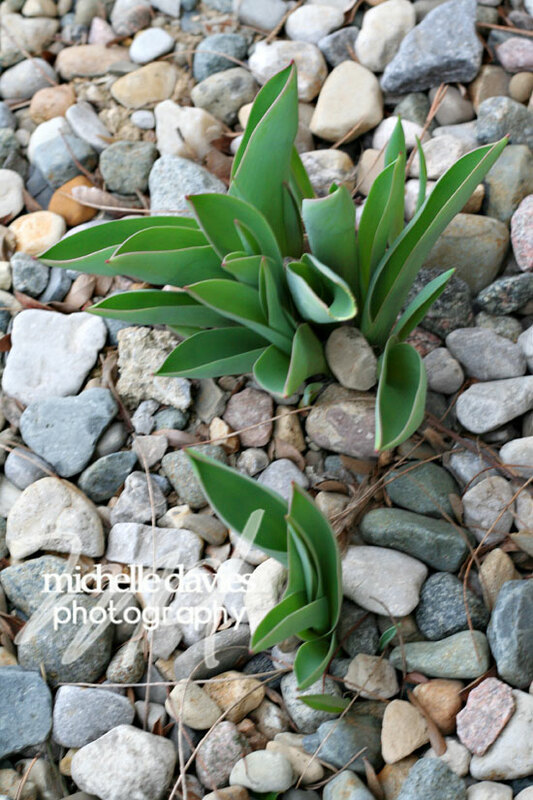 >My tulips are coming up too.. I can’t wait!! Great shot, and love the poem.